Simple, yet detailed instructions on how to install Webmin on Centos 7, add firewall exceptions for Webmin port and even change the default Webmin port if that’s required. Login to your remote server over SSH with root credentials. Ideally you should use putty, which supports copy and paste. 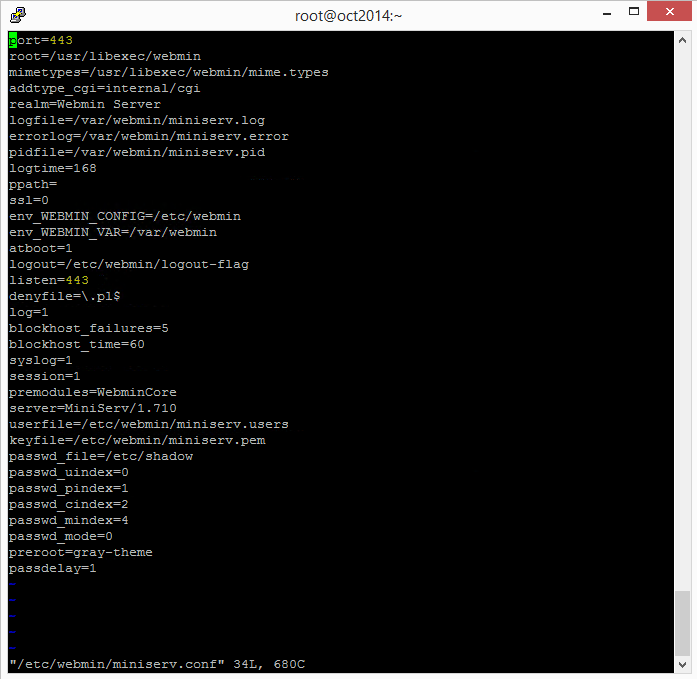 Create a new file webmin.repo in /etc/yum.repos.d/ using following command and press Enter. Empty vi editor will open. Press Insert button on your keyboard, which will allow you to insert commands into vi console. Now highlight and copy (ctrl-c) below text. Place the mouse cursor right at the top of putty window (vi editor file) and right click your mouse (auto paste). It will paste the copied text into vi editor. and press ENTER. VI editor will close and you’ll be back to Centos SSH command line. 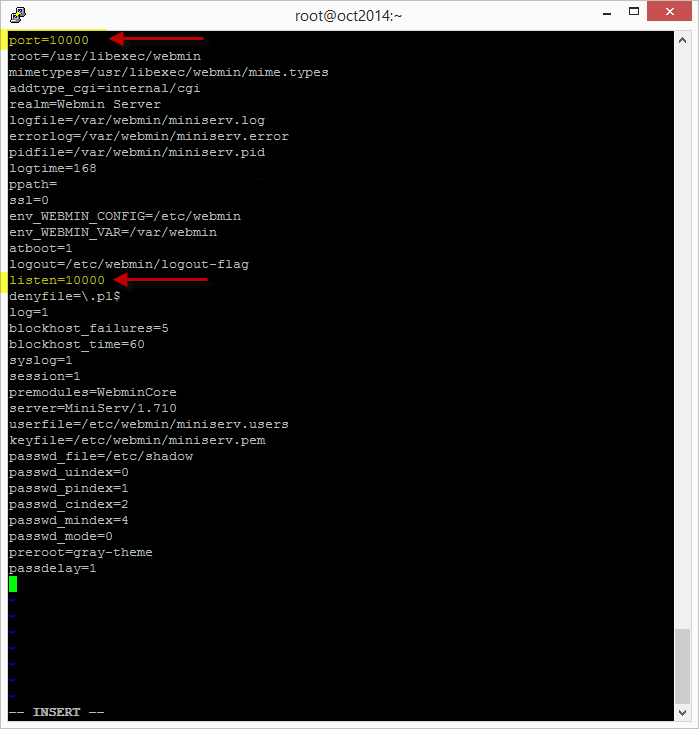 We’ll need to install webmin GPG key now, using following command. Just copy and paste (right mouse click in putty) this into SSH, then press ENTER. 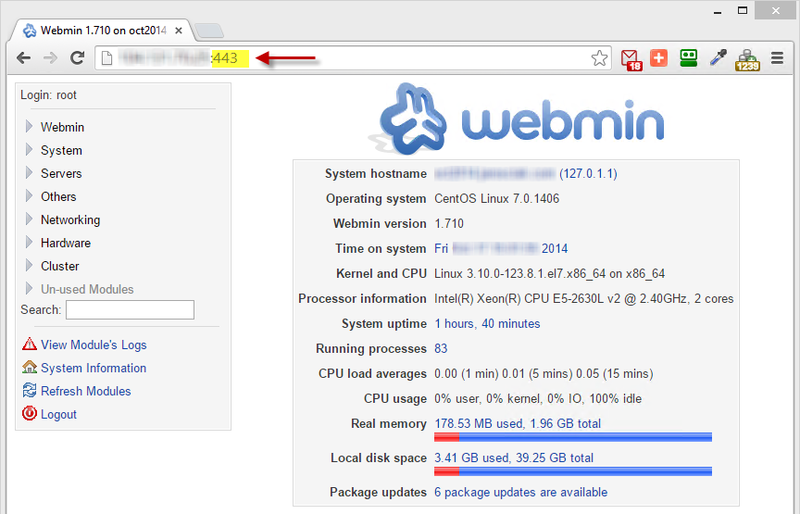 Above will take a moment, because we’re not installing only latest version of Webmin, but also all its dependencies. However, because most of us as accessing our servers remotely, we’ll need to cover couple more things before we’re done. It means exactly what it says: FirewallD is currently not running on your Centos 7 system. And that is it. Webmin runs on port 10000 and is installed on Centos 7 operating system.